We cherish our historic (Grade11* listed) place of worship and protect and build up the congregational archive. Every few years in September we open our chapel for Heritage Open Days and include a display or exhibition relating to the history of our Unitarian congregation. 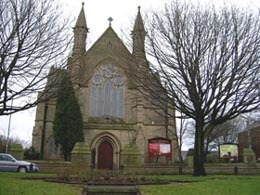 We will be hosting a visit from the Greater Manchester Churches Preservation Society on Saturday 19 November 11.00am to 2.00pm. Dawn Buckle will give a short talk and visitors will be free to follow our Heritage Trail of the building and graveyard.